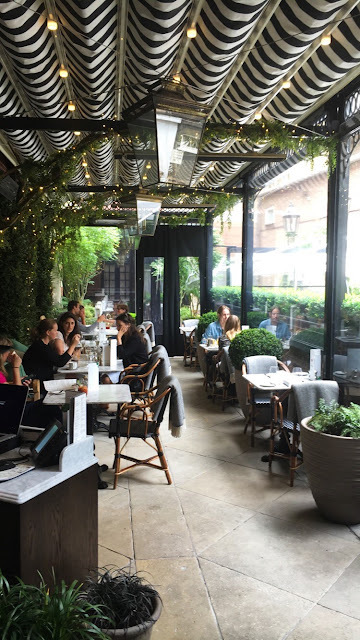 Lush greenery, marble tables, and Foxford blankets neatly draped aback the bistro seats. 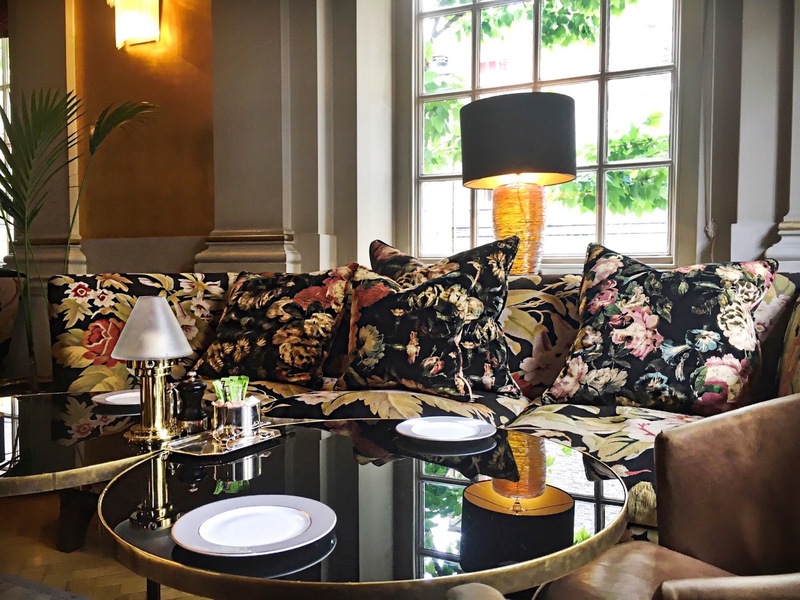 These are just some of many charming touches proving Dalloway Terrace worthy of the name it shares with Virginia Woolf’s hostess with the mostest, Mrs Dalloway. The restaurant lies low aside The Bloomsbury Hotel, like a secret garden. It’s a long, narrow space split across two hedge-lined levels, making for the perfectly intimate hideaway. 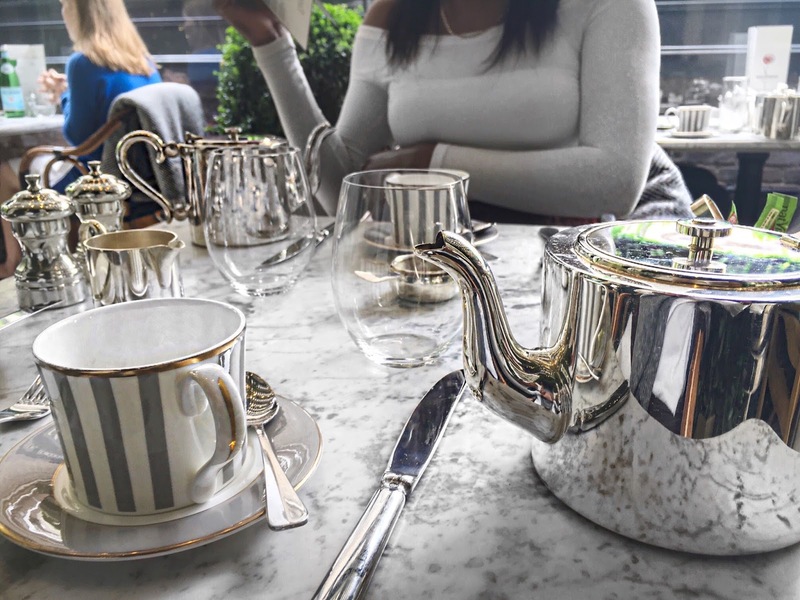 In good weather, a retractable roof lets sun rays adorn you as you eat; in otherwise ‘London’ weather, those lambswool Foxfords will literally have your back. 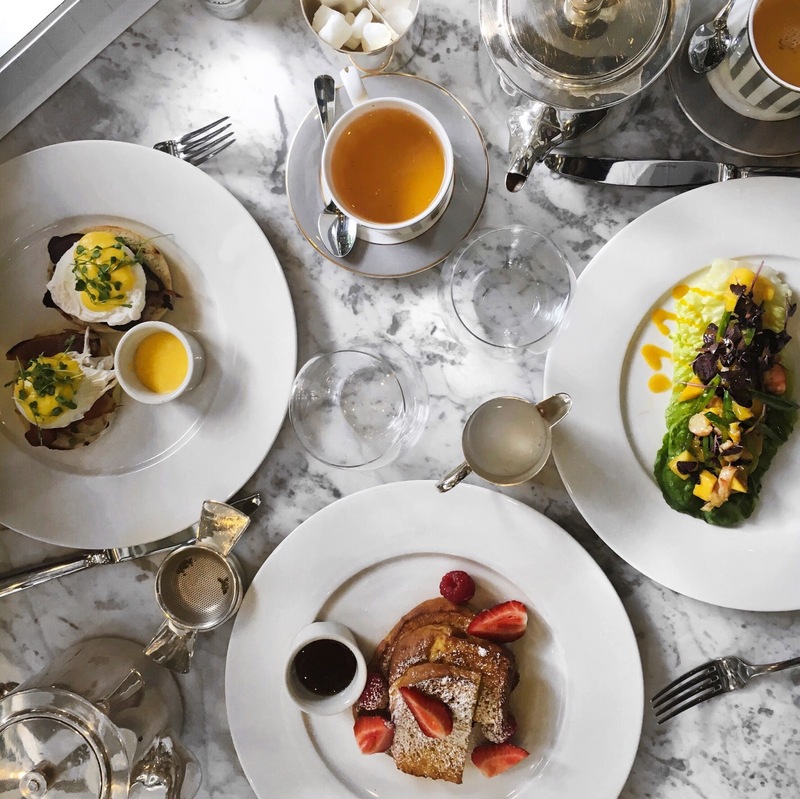 From 7am every day, Dalloway Terrace offers British fare with a few nods to the Mediterranean. We visited at the weekend and so were presented the Brunch Menu. It has a few standout items but is generally underwhelming if we’re being honest. With such a distinguished ambiance one might expect more imagination than standard brunch dishes. Alas, it’s underwhelming but forgivably so. After all, the restaurant is intended to be quintessentially English, not experimental. More captivating is the All Day Dining Menu served from 4pm at the weekend or from 10:30am during the week. Go then. Especially as you can dine to the tune of live jazz music on Tuesday and Thursday evenings. That’s an in-crowd tip. You’re most welcome. Digging into the Brunch Menu, the Guinness brown bread is a must-try. It’s all too easy to have your waiter keep the bread baskets coming with a well paired wine and nothing else. Our hungry, heathen souls couldn’t bear the reminiscence of Holy Communion in that so we ordered some mains. The Eggs Benedict were made with sweet-cured bacon which went down agreeably. 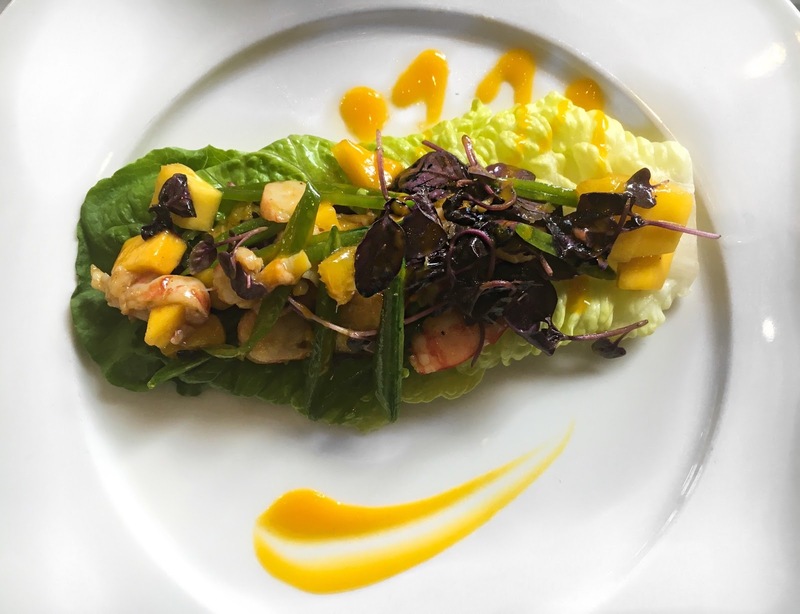 Standing out was the Lobster and Mango Salad, immediately teasing the eyes with its vivid greens, purples, and yellows. A bed of baby gem lettuce brought crunch and earthiness to tender chunks of lobster meat. The interplay of sweet, Alphonso mango with a mildly tart yuzu dressing, was delightfully heady. Steadily working our way through our teapots, we had little room for sweets. 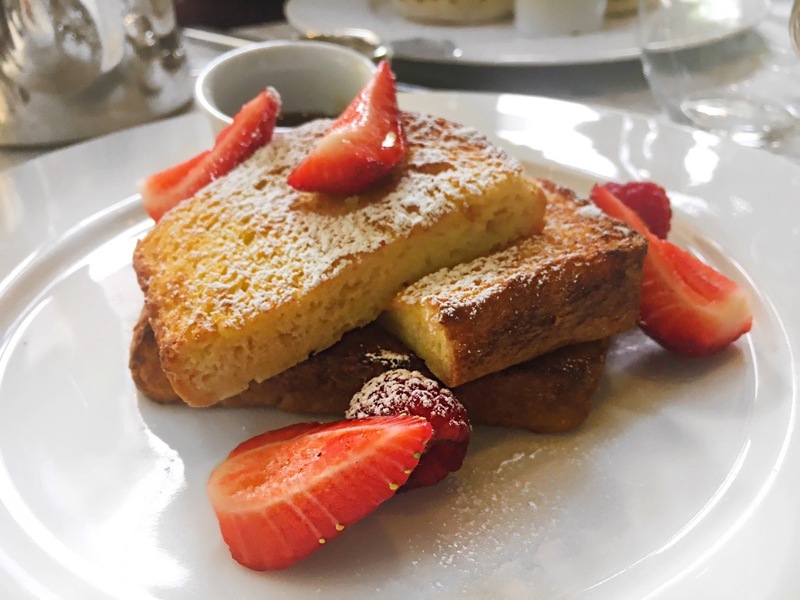 So we ordered a plate to share: French Toast & Seasonal Berries, opting for syrup as opposed to crème fraîche because, why not? It went like this: I methodically picked out the berries and crusts whilst my friend saw to the heart of the toast. À chacun son goût ! 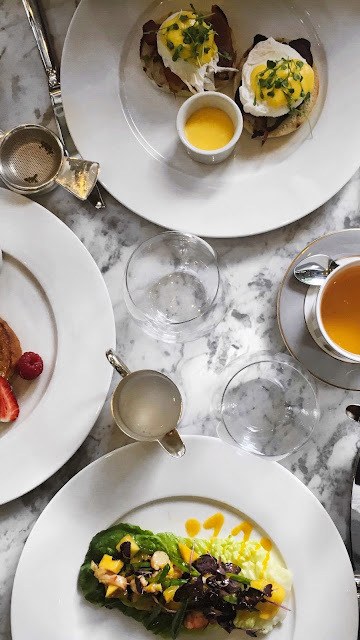 Our verdict: Dalloway Terrace is a destination that is distinguished, enchanting, and still something of a secret. Come for the stylish ambiance, stay for the fine service and All Day Dining Menu. And be sure to share your visit using the hashtag: #EATtheFiveEs.